Robert Pepka, Class of 1968, dedicated nearly forty years to Bartlett High School. He participated in football and basketball but truly shined as a three-year letter winner for the Indians baseball program in the spring. After graduating from Westfield State College, Bob returned to Bartlett where he committed his efforts and passion, as both a teacher and coach, for the Green & White. For Bob, the diamond was his home. In 1967 and 1968, he was selected to the Border Conference All-Star Team. While he was an all-star outfielder, he still definitely could do damage on the mound. He was undefeated as a starting pitcher and the Number One relief pitcher. In the batters box, he contributed with power and finesse, maintaining a three-hundred plus average in his junior and senior years. Bob was also recognized by his coach, Ziggy Strzelecki, his senior season by earning the MVP award. Upon graduating from Bartlett, Bob continued his education and athletic career at Westfield State. He played for the volleyball, lacrosse and baseball teams at Westfield. In 2008, Bob was named to the Westfield State Hall of Fame in the sports of volleyball, baseball, and lacrosse, and for his contributions to the intramural program. 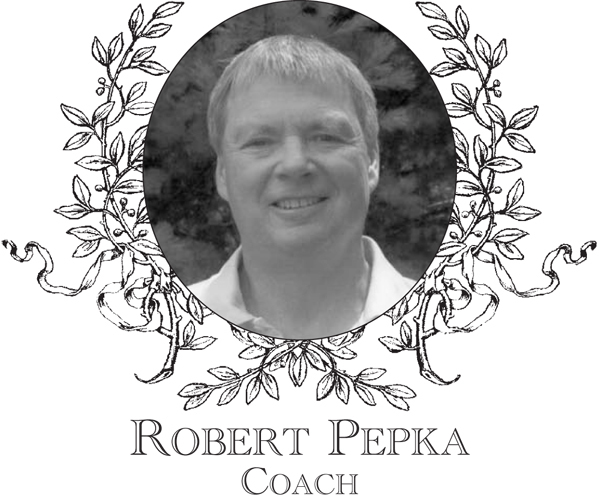 Bob�s impressive athletic career and lessons that he learned and taught carried over into his classroom. Bob taught his science classes with poise and charisma. Among his accolades and awards, Bob was selected to the Who�s Who Among America�s Teachers and received the prestigious Webster�s Quo Vadis Award. Bob retired from teaching in 2007 and resides in Dudley with his wife Karen. They have two children, David and Bethany.